On this Escape, the traditions and intrigue of Britain are calling you. Experience the fascinating cities and countryside of this beautiful land without the crowds—and even better—without the high-season prices. 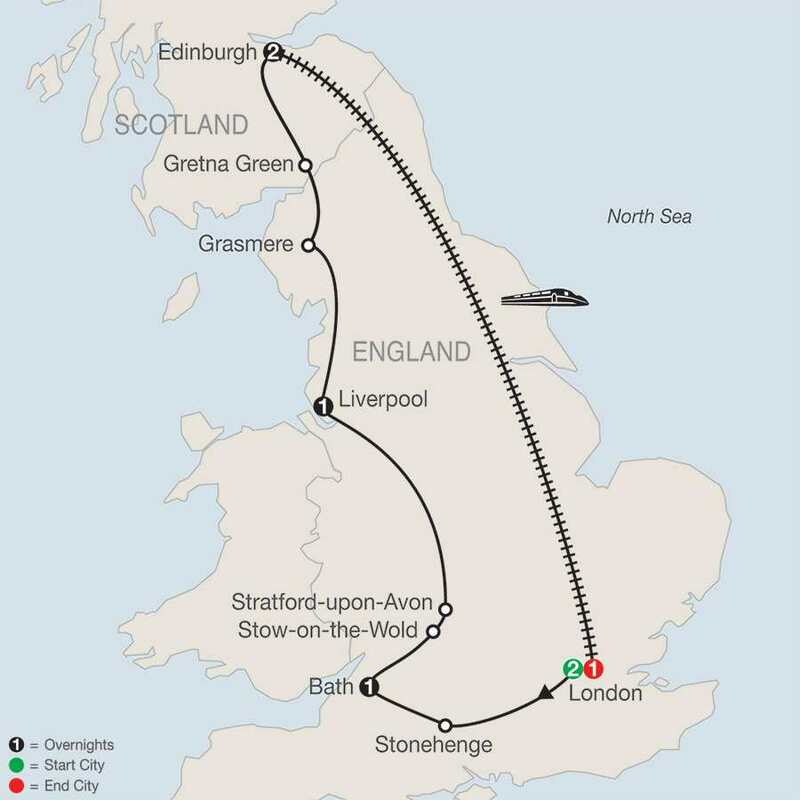 A concise Britain tour that takes you to the historical must-see sites from London to Edinburgh. History buffs will delight in seeing mysterious, prehistoric Stonehenge (just imagine how those stones got there! ); the Roman Baths in Bath, constructed around 70 AD and today one of the best-preserved Roman remains in the world; Liverpool, once a great Victorian city and Atlantic seaport, and renowned for its musical heritage; and Edinburgh, home to many Scottish monarchs, including Queen Margaret, who died here in 1093. Literary fans will enjoy visiting Shakespeare's birthplace in Stratford-upon-Avon, and Grasmere, home to William Wordsworth. But that's not all…a London Guide will show you all the city’s famous landmarks, from Buckingham Palace to the Prime Minister’s Downing Street and Westminster Abbey; in Edinburgh you’ll tour the castle and see Scotland’s Crown Jewels; and in Liverpool, your Tour Director will walk you through the Beatles quarter—all the better experience without the long lines and crowds. 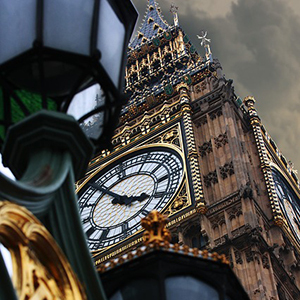 For the conclusion of your vacation, travel via express train back to London for one night. From the historical landmarks to the beautiful scenery, this tour is a great way to sample what Britain has to offer and it’s all possible at a price you can afford!